Communicators put a lot of effort these days into reaching out to new audiences. We work hard on developing our social media presences. We do our best to find those audiences through Twitter, Facebook, YouTube and the rest. Our goal is that, by reaching out like this, we will engage with audiences that are less likely to find our print and online products, our TV and radio shows, our books and DVDs, through conventional means. So, naturally, a lot of the focus among multimedia journalists who’d like to have a job tomorrow is to create content that works on these various social media platforms. But, as journalists, we also need to pay as much attention as we can to what we are going to offer those new audiences, if and when we attract them back to our branded websites and print products. What should we be doing there to clinch the deal? To get them to engage with us as regular readers and contributors? That’s what I’ll be focusing on in the next MMJ masterclass, which will go live on February 26 but which I wanted to preview here with a few of the thoughts behind what I’ll be doing. 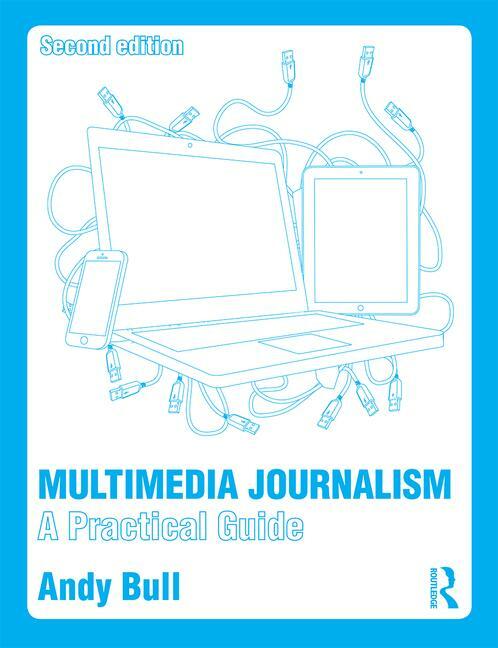 If you’ve been a subscriber to Multimedia Journalism: A Practical Guide over the 12 months since its launch you might have seen a series of linked masterclasses which went through the logic of finding new audiences, and the techniques to employ when attempting that. What we’ll look at in Masterclass 22 is the other half that equation. So this next masterclass will be all about what we should be doing on our websites to hook that proportion of the new audience, the part that values us and what we do best: depth, breadth, richness, authority. So here are the things I’m going to focus on. They are all, really, atempts to answer the same question: how best do we create, and structure, rich content for the web? I’ve been talking with Ben Davis, lecturer in the Department of Journalism and Mass Media at Rutgers. Ben has thought as deeply, and written as perceptively, as anyone about the inadequacy of the inverted pyramid inherited from traditional media. He’s come up with what he calls the Digital Media Pyramid, an approach that takes the old who, what, when etc, and turns it on it’s head – literally, as he has developed an upright rather than inverted pyramid. He says of it: “The Digital Media Pyramid addresses the demands of today's journalists who could be writing a television, radio or print story and nearly simultaneously be required to re-purpose their work for a digital Internet audience. We’ll be taking an in-depth look at that. I also want to look at long-form journalism. It was always the received wisdom that we didn’t do long on the web. That view is changing, with significant efforts to invent a long form that will work online. Which, rather than turning our new audiences off, will actually give them what they want – perhaps what they never knew they wanted until they came upon it: depth, breadth, authority, but in a way that presents weighty issues, dense analysis, in a way that works online. So there’s the Google Living Stories project, a co-production with newspapers including the New York Times and Washington Post that didn’t entirely come off but which began to give us a template for how long form might work. The topic page being a place where, rather than just the latest shallow dip into a big story, you get that story in all its depth and complexity – the deep end not the shallow end of traditional online news content. Finally, there is the re-imagining of the blog - long derided, perfectly fairly, as a lame version of the newspaper column. The BBC’s Robert Peston (among others) has an approach to blogging, the Beat Blog, that puts his blog at the heart of everything he does. So what I hope to do is draw the strands in all of the above, and more, together. To build these thoughts into a new strategy for creating, structuring and presenting online content.